IDS delivers dynamic information based on your own screen designs to any connected display device. 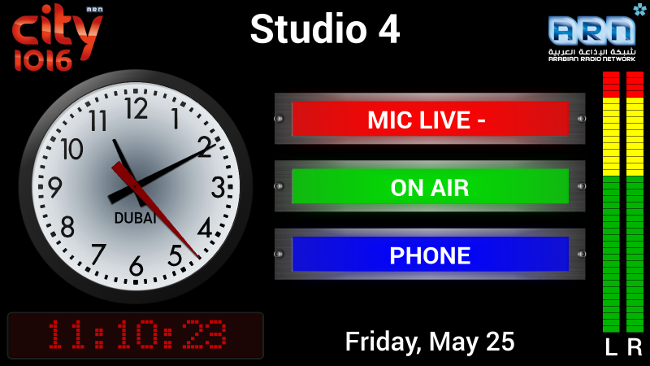 Information can include clocks, cue lamps, scrolling text, control interfaces, video streams, URLs, RSS feeds, signage and branded media. Information from preset URLs, RSS feeds and other syndicated sources can be distributed to display devices around your organisation. Every display on your IDS network can be configured to show alerts and warnings, saving expenditure on third-party monitoring devices. Multi-use studio space means multi-media content. 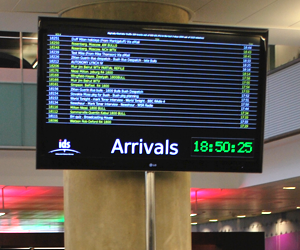 With IDS you can change displays to suit requirements all with the tap of a screen!